You can also listen to the audio version! Often, you would have to go through different search iterations to find what you were looking for. Now, you simply use natural language to request information and ask questions. Where to buy soccer cleats for youth? Now, Google and other search engines know what you intend. You get a listing of local stores that sell soccer cleats for kids, not articles on the science behind soccer cleats. You see more videos on repairing diesel motors and less content that simply has diesel motor as a keyword. There are a lot of moving parts when it comes to SEO and SERP in relation to your pillar pages. There are things out of your control such as Google algorithm changes or new pieces of content being published by competing content teams. There are other things you can control such as interlinking strategy, content structure, site speed and more. 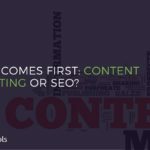 Content teams should utilize SEO software to help them manage and monitoring their SERP and SEO changes, as well as their competitors. Webster defines pillar as a firm, upright support for a structure. A pillar page, as you can imagine, is the content page that acts as the comprehensive source for information on a particular topic on your website. Pillar pages should be designed to maximize SEO indexing. These are the pages that will attract inbound links. They will be most discoverable by customers seeking information. These pages are not the place for forms, paywalls, or otherwise gated content. A topic cluster combines the pillar page mentioned above with pages covering any subtopics relevant to that pillar page. The subtopic pages should be designed to address specific questions or concerns customers may have about the main topic. Pillar pages and subtopics should have a one-to-many relationship. Every pillar page should be based on a high volume keyword phrase. How high depends on your goals and your overall traffic. Here are some tips for collecting metrics and other information on keywords. The idea is to select topics for your pillar pages that are already drawing search traffic to your site. Which pages of yours are already ranking at the top of page one, or at the very least landing somewhere on page one. These are the pages that are the best candidates to be designated as pillar pages. Choosing and building pillar pages should be a part of your overall content marketing strategy. Just like you plan landing pages and other web content to potentialize their reach to the best search engine rankings, you should do the same with pillar page topic selection. Think of all of the things you take into consideration when writing content now. You consider your customer personas and the needs and interests of each one. You consider trending topics, as well as the keywords for which you want to rank. You also take into consideration how you are currently ranking. Topic clusters are formed through linking. Think of links like spokes in a wheel. Your pillar page is the center point, where the axel meets the wheel. Your subtopic pages are the outer rim. Each subtopic should connect with its pillar page using a single link. It is fine for subtopic pages to contain links to external sites. Pillar pages should link out to subtopics. Topic clusters help you to draw more qualified traffic to your website. They allow you to create deep content, that is relevant to your personas. Even better, your pillar and subtopic pages can be structured so that they do not compete with one another for ranking. Instead, by creating topic clusters and linking them correctly, you communicate to Google that your site is a source of information on a specific topic. This structure also allows you to make additions or changes to a particular topic cluster quite easily. It isn’t that keywords are going away. They aren’t. Even if you embrace topic clusters, keywords still play an important role. However, by using topic clusters, you allow yourself to become a source of useful information to your target audience. This means focusing on developing knowledge bases and establishing thought leadership. About the author: Amanda Sparks, professional marketer and blogger, head of content department at Essay Supply. She works as a marketer for 7 years and is passionate about developing innovative and customer-friendly solutions for brand growth. Amanda blogs for pleasure and in her free time she writes on her personal website Top Down Writer about the issues in education. Previous ArticleDigital Leaders: in the AI era, leaders must be more humanNext ArticleSetting Up for Success: How to Work with Your Content Team? Hello. Thank you for the original article. You’re right. Many people now love to create websites for their business or their own blogs. Platforms for blogs are an interesting thing. Because people have the opportunity not only to express their opinion, but also to help other people. This also applies to most sites. Provided, of course, that they are intended for people, and not created simply or for the purpose of additional earnings. I also have my own website, https://college-pages.com/ , where I try to explain to students how to write essays and other college papers.